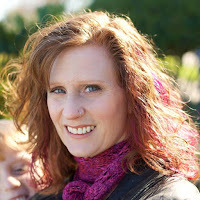 Can't believe how fast this year has gone and that the Blogger's Quilt Festival, hosted by Amy at Amy's Creative Side, is already here. I didn't think I would be entering anything this year but I'm just so proud of my Triangles on Parade quilt that I decided to enter it into the Modern Quilts category. I had such a fun time working on this quilt. I love how the unusual layout and white rows really gives it a modern look. Plus the quilting in the white really makes the negative space triangles really pop. I hope you like it too. You can read more this quilt here. 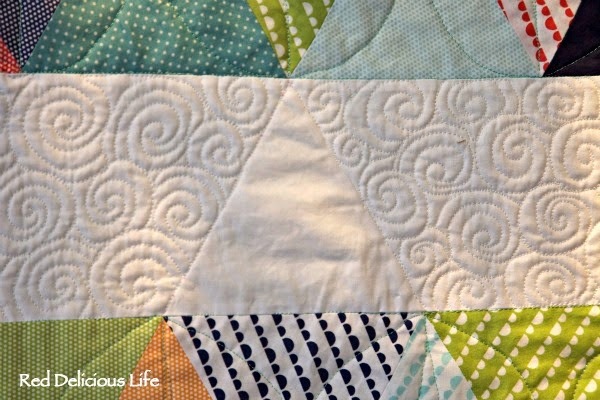 This is a lovely quilt - really caught my eye on Amy's site. Thank you for the close-up of your quilting too. A lot to admire! The layout is so original! Brilliant! Good luck with the Quilt Festval. I love the stripes in the triangles! Lovely quilt! 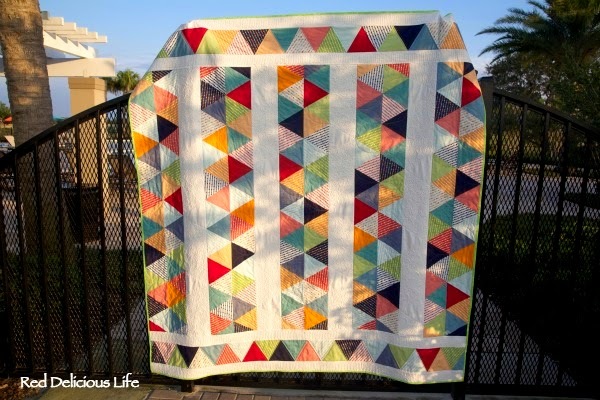 This quilt makes me smile, the colors are so cheerful and I love how you quilted it. Lovely quilt- the colors are refreshing and the look is so clean. What a great take on 60 degree triangles. I like the white sashing! Beautiful quilt. The setting is perfect. modern and traditional at the same time. Your quilt gets my vote!